Traditional and Non-Traditional Ways to Protect Intellectual Property in the Fashion and Wellness Worlds - Gottlieb, Rackman & Reisman, P.C. We live in a world dictated by pressure and anxiety. Relaxation, fitness and comfort have become the norm for consumers to deal with stress and improve their health. Companies in apparel, fitness and wellness are competing to deliver the best products and services, whether it be a new sequence of yoga poses and breathing exercises, fitness wearable technologies, athletic apparel, or essential oils used during a massage or a Reiki session to enable consumers to perform better and live a better life. To be able to deliver the best products in a competitive market that is growing exponentially is quite challenging. However, more challenging for these businesses is to determine what type of Intellectual Property protection must be obtained in order to protect their manufacturing process, products and services and defend their most important assets. Consumers are interested in selecting the proper branded product that would have the design, configuration, fit, pattern, technological developments and texture that would enable them to enjoy a better performance. They are also interested in enjoying the most appealing wellness and physical routine or running the New York City Marathon in the most comfortable shoes after a nutritious meal including plenty of food supplements! Companies are constantly encountering serious dilemmas in order to fulfill consumers’ expectations and at the same time protect and enforce their IP rights. Traditional trademarks consisting of words, logos, slogans and graphic designs have been great as source identifiers, but in the last few years companies have also resorted to other non-traditional trademarks such as colors, textures, scents, motions sounds and product configuration (many times referred to “trade dress”). Moreover, copyrights, patents and, in particular, design patents have also become important IP tools. The fashion world has already adopted non- traditional marks. 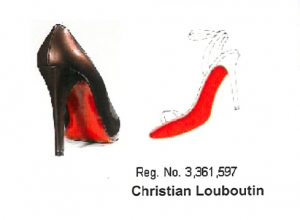 Examples include the red sole of a shoe that has been protected on a worldwide basis (US Reg. 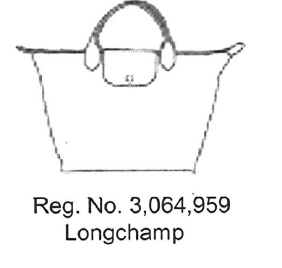 3361597) ; the configuration of the Longchamp bag ; the (Reg. No. 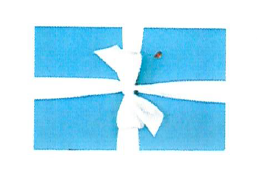 4704672) for Nike athletic shoes and the color of the Tiffany’s package (Reg. No. 2184128). 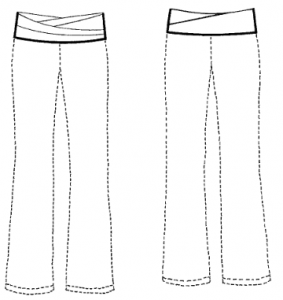 Lululemon has created new and revolutionary yoga and exercise pants and apparel in general including an Energy Bra. The company has also resorted to a very effective type of protection: Design Patents, which is directed to the appearance of an article of manufacture. This has been a creative way to protect their rights since a Design Patent has not been traditionally used as a mechanism for protecting and enforcing rights in the fashion and wellness fields. 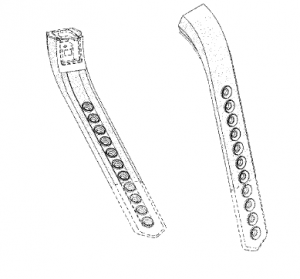 Design Patents have been the subject of many legal fights between Apple and Samsung on tablets and smart phones, and are increasingly popular as a way of protection in regard to jewelry, handbags, watches and wearable technology. The main allegations were that the same “waistband and pant styles” were found on the Calvin Klein products. 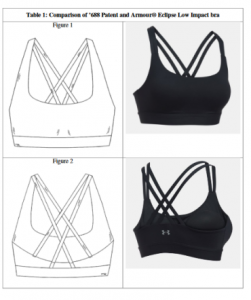 Lululemon also started an action against Under Armour, Inc. claiming that Under Armour continued to use sports bras which Lululemon alleged infringed their sport bras protected under U.S. Patent Nos. D709,668 and D759,942 … and by trade dress. On the left side of the chart are Lululemon’s designs and on the right are the Under Armour’s designs. Both companies jointly requested a dismissal of the case in October, 2017, though no comments were disclosed on the details of the settlement reached by the parties. The alternatives that fashion and wellness companies are following in regard to the protection of their intellectual property rights and the trends they are pursuing may be due to the fact that no law has been as yet enacted, including the protection of the design, construction or cut of an item of apparel. The Design Piracy Protection Act was the first of a number of bills introduced in the United States Congress in order to provide protection to fashion designs under the Copyright Act. The Innovative Design Protection and Piracy Prevention Act was the second bill and the Innovative Design Protection Act was the third of a number of bills submitted, but so far no copyright legislation has been enacted for protection of fashion apparel. A case that has been the subject of a lot of discussion and controversy is known as the “cheerleading Copyright Case” which was decided by the US Supreme Court this year (Star Athletica v. Varsity Brands). The case analyzed whether stripes, chevrons and designs of a cheerleader uniform can enjoy copyright protection. The Supreme Court decided that the uniforms at issue could be protected by copyright and Justice Clarence Thomas clarified how “conceptual separability” should be interpreted. The Supreme Court held that features incorporated into the design of a useful article are eligible for copyright protection if they can be perceived as a work of art separate from the useful article and would qualify as a protectable work if imagined separately from the useful article. There is a two-step eligibility test: (1) the feature can be perceived as a two- or three-dimensional work of art separate from the useful article, and (2) the feature would qualify as a protectable pictorial, graphic, or sculptural work—either on its own or fixed in some other tangible medium of expression—if it were imagined separately from the useful article into which it is incorporated. The key takeaway is confirmation that designs featured on useful articles are protectable under copyright law if they can be perceived independently as a 2-D or 3-D work of art and if they otherwise would qualify for copyright protection. Copyrights were also the focus of the case between Bikram’s Yoga College of India and Evolation Yoga, LLC. The case involved a decision as to whether a sequence of twenty six yoga poses and two breathing exercises developed by the famous Bikram Choudhury, as described in his book, could enjoy copyright protection. Bikram’s Yoga College of India sued Evolation Yoga for copyright infringement when offering their hot yoga classes. Evolation acknowledged that hot yoga “includes 26 postures and two breathing exercises and is done for 90 minutes, accompanied by a series of oral instructions, in a room heated to approximately 105 degrees Fahrenheit.” The analysis by the district court and the Court of Appeals was centered on the copyright principle that copyright protection is obtained for the expression of an idea but not the idea itself. The courts viewed the sequence as a collection of ideas and facts. The California Court of Appeals decided that: “the sequence was not proper subject of copyright protection because it was an idea, process, or system designed to improve health, rather than an expression of an idea.” The Court also rejected Choudhury’s argument that the sequence is a “coherent and expressive composition” and thus protectable as a compilation. In addition, the practice of yoga dates back to thousands of years. It is too late now, but perhaps the sequence created by Choudhury could have been better protected by patent law so as to enjoy a lawful monopoly over the idea or functional principle in the underlying activity or work. The reality is that the California Court of Appeals had a very logical approach and considered that extending copyright protection to the sequence itself may discourage consumers who may believe that by practicing Bikram’s yoga positions they could become copyright infringers. Finally, wearable technology (such as wristbands and watches that record physical activity and performance) had a rapid growth and created more challenges in designing a clear IP strategy to protect same. Fitbit and other wearables have developed patented technology, including the computer software inside the devices, and a trademark portfolio to protect the names and logos as well as their color, shape, scent, sound and motion. 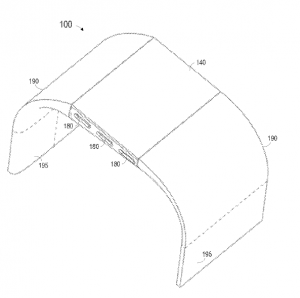 Design patent protection became one of the most helpful ways to protect wearable technology products, as it permits the protection of the ornamental look of a functional item without proving distinctiveness. Moreover, the instructions to use the wearable product can be protected by copyright. Fashion, technology and wellness has become one of the most lucrative and growing businesses but require a lot of focus and attention as to how best to protect the products and services generated by these respective industries in the most creative way, at times with basic IP concepts but in many instances, resorting to non- traditional IP solutions.